To date, many studies focusing on the adoption rates of social media platforms in Fortune 500 firms have been conducted; however, little is known of the adoption time of such platforms, and the relationships between different social media adoptions. This study explores these aspects of social media using a proposed analysis integrating econometric analysis and data mining. Granger causality assists in constructing causal forecasting models of social media adoption time, whereas association rule mining, which can be visualized by dependency network graphs, contributes to understanding hidden relationships among enterprise social media adoption choices. The proposed analysis can account for the unexplained phenomena in a complementary way because different aspects can be drawn from the results of both econometric analysis and data mining. Social media are fostered by the support of web-based technologies and services that allow users to create, share, review, communicate and interact with content in a wide variety of media forms, such as text, audio, image, video, hyperlinks and so on through digital channels. Social media allows users to connect with each other and become active participants in social media platforms. Firms and organizations which get involved in social media marketing usually leverage social media channels to engage with their audience, and gain valuable insights into customers’ perceptions of products, services and brands. Burson-Marsteller has annually tracked the social media use of Global Fortune 100 firms since 2010, and observed that the frequencies with which consumers mentioned those firms on social media were extremely high (10,400,132 times in one month), particularly on Twitter (Burson-Marsteller, 2012). It is evident that huge numbers of consumers use social media websites, and the numbers are increasingly growing as the online population increases. Therefore, global firms actively engage with their customers by adopting multiple social media platforms as they see fit. Furthermore, YouTube was founded in February 2005, while Facebook started in 2004, but was not open to non-students until September 2006, and Twitter entered the social media market in March 2006. It seems that the adoptions among different social media platforms might be both temporally and causally interrelated. In other words, although those social media channels were launched at different times, the firms that adopted one social media platform appear to adopt other social media platform(s). The best way to determine common popular combinations of social media platforms preferred by such firms is to collect real-world data on the phenomena. A variety of potential choices are available for global firms to select social media platforms, as are their decisions to disclose and exhibit their choices or not. The concept of choice architecture, the presentations of choices that may affect decision-making, to some extent, explains this phenomena. Some companies choose to display their social media channel icons serving as decision aids on their landing pages, others have created special pages for grouping their channels by products, brands or areas. Thus, if the firms have a choice between exhibiting their social media choices as opposed to not exhibiting their choices on their landing pages of global websites, does this affect their choices of other social media platforms? 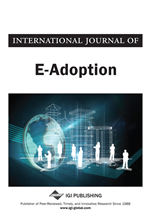 This study primarily focuses on exploring the times that companies were present on the three earliest social media platforms (Facebook, Twitter and YouTube) among a stratified random sample of 2012 Global Fortune 500 firms (N=250), and models the choices made by those firms in adopting the best combinations of social media platforms.